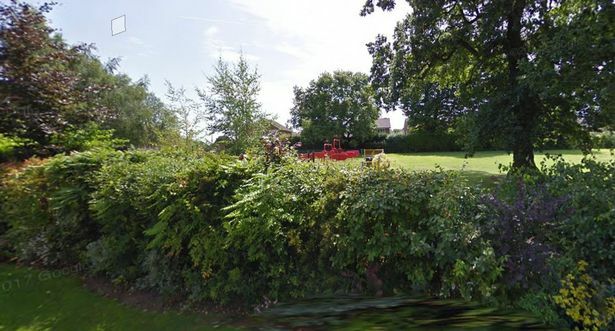 A hooded teen pointed what police say was an imitation gun at a group of girls in a Bedworth park. Police said the three girls were under a bridge opposite to the Alders recreational ground, on the Woodlands estate, when a teenage boy pointed the weapon at them. While not injured, the trio, aged between 12 and 13, were left extremely shaken as a result of their ordeal at 2.20pm on Sunday afternoon. Investigating officer, PC Dan Lydster of Warwickshire Police, said: "This was a very frightening incident for the girls and they have been left understandably shaken. "Additional patrols will be in the area whilst enquiries are ongoing, and we are appealing to anyone who witnessed the incident or who may recognise the description of the offender to please come forward." The suspect has been described as being of mixed race male, around 16 years old, 6ft in height and slim. He was wearing a black Adidas tracksuit with white stripes, with the hood pulled over his head. He spoke with a local accent. It is believed he was with a white girl, who was about 16 years old and had blonde hair. She was wearing a distinctive pink rucksack and also spoke with a local accent. Police say they both may have been in Woodlands Park prior to the incident. Anyone with any information should call PC Dan Lydster at Bedworth police station on 101, quoting incident reference 221 of Sunday, October 14. How do they know it was an imitation gun? - There must be more to this story.